CAMP KINSER, OKINAWA, Japan — About 30,000 Okinawans and Americans came together to celebrate cultural differences and enjoy festivities at the free, public Urasoe City/Camp Kinser 10th Annual KinserFest here Aug. 7-8. The goodwill effort to bring the two communities closer brought dozens of vendors with food, goods, games and prizes, interactive displays of current Marine Corps equipment and pony rides. 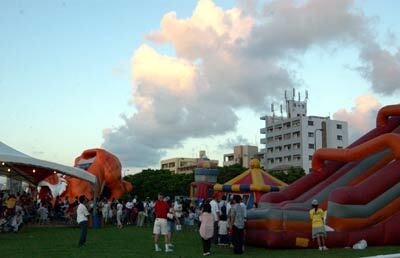 While KinserFest resembles a traditional American county fair or carnival, the Okinawan culture is always highly prevalent. In addition to live American musical performances and disc jockeys playing music from multiple genres, the event showcased traditional Ryukyu dancers, Okinawan taiko drummers and martial arts demonstrations from local dojos. While the festival highlights two cultures, the event helps those of different backgrounds to experience things together as one community, according to local officials. “The people of Urasoe City are used to the base and they recognize it as part of the city,” said Urasoe City Mayor Mitsuo Gima. “KinserFest gives the people of our community the opportunity to get to know each other better. We are neighbors – the same people – speaking a different language. 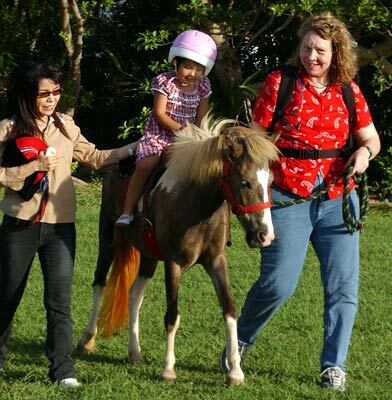 “I would like the people of Camp Kinser to learn more about the Okinawan culture and experience things on the other side of the gate,” Gima said.